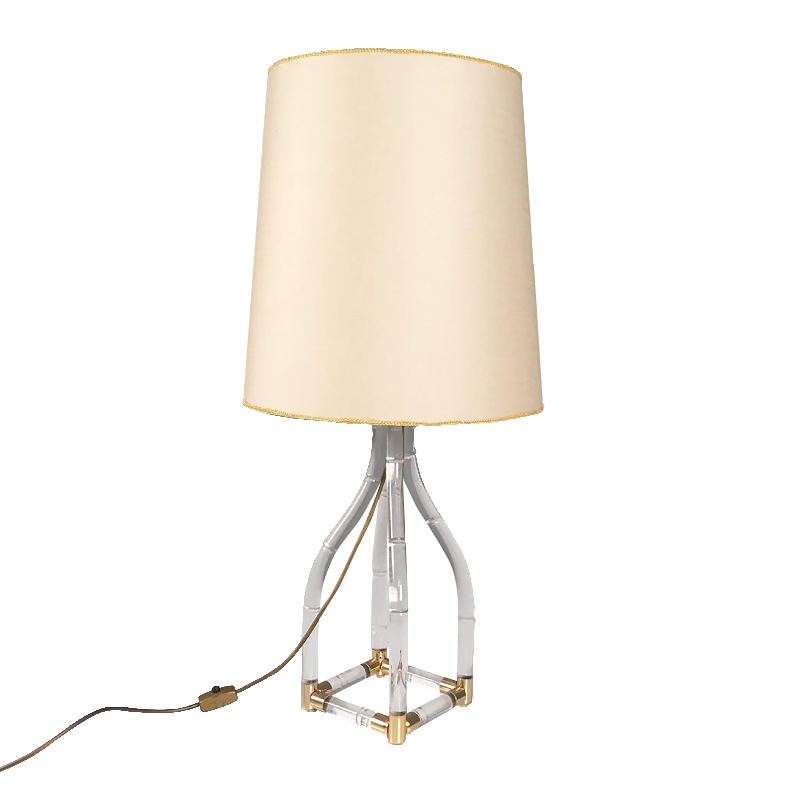 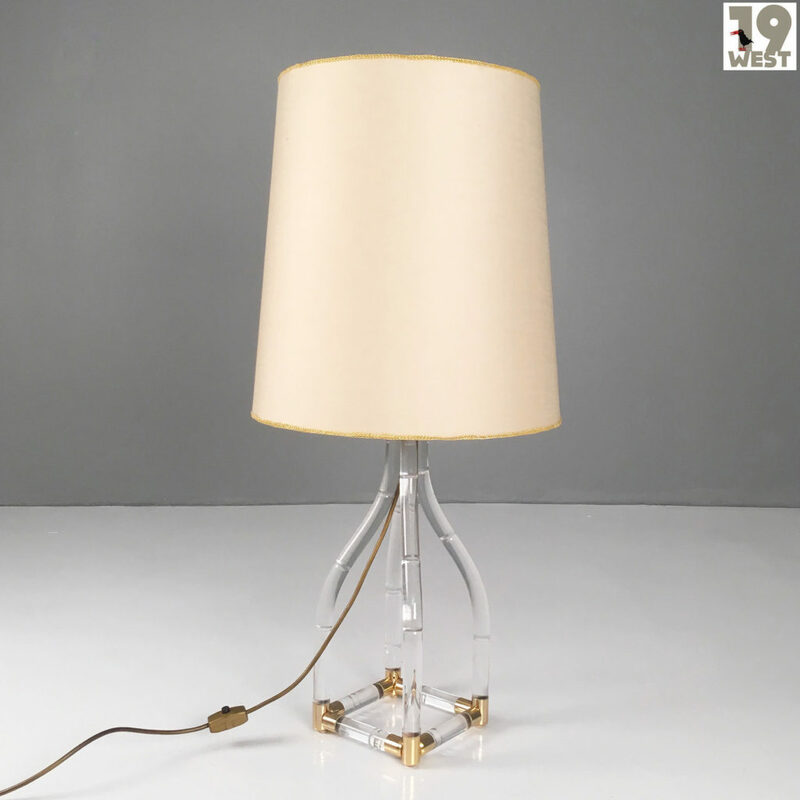 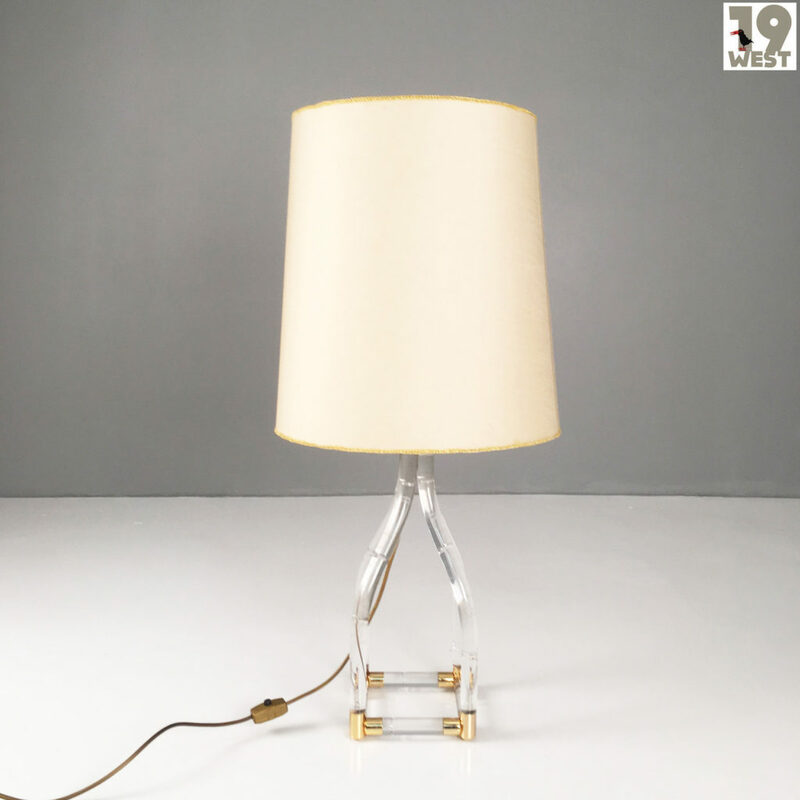 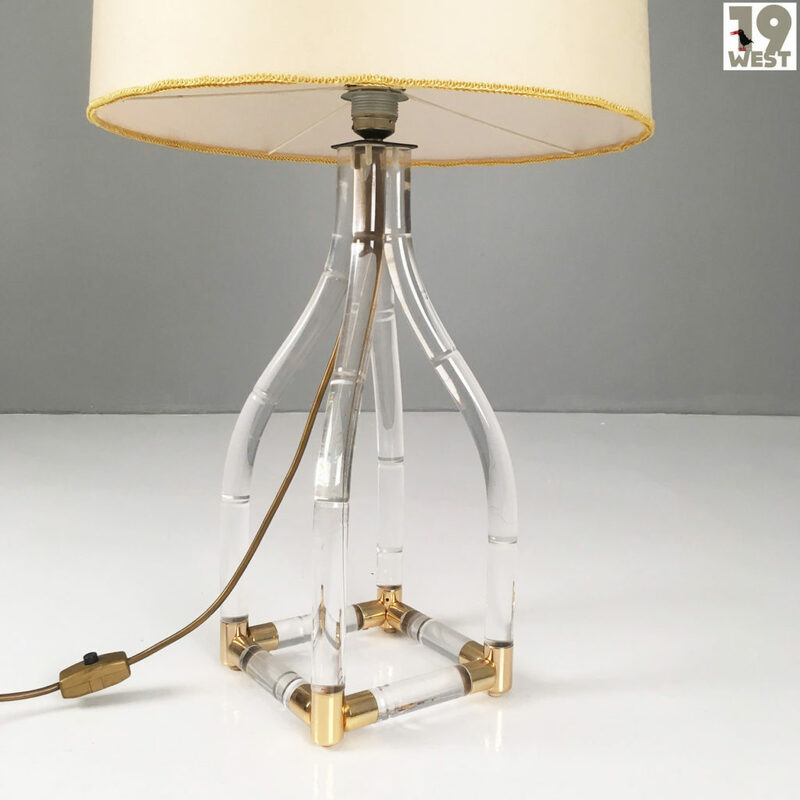 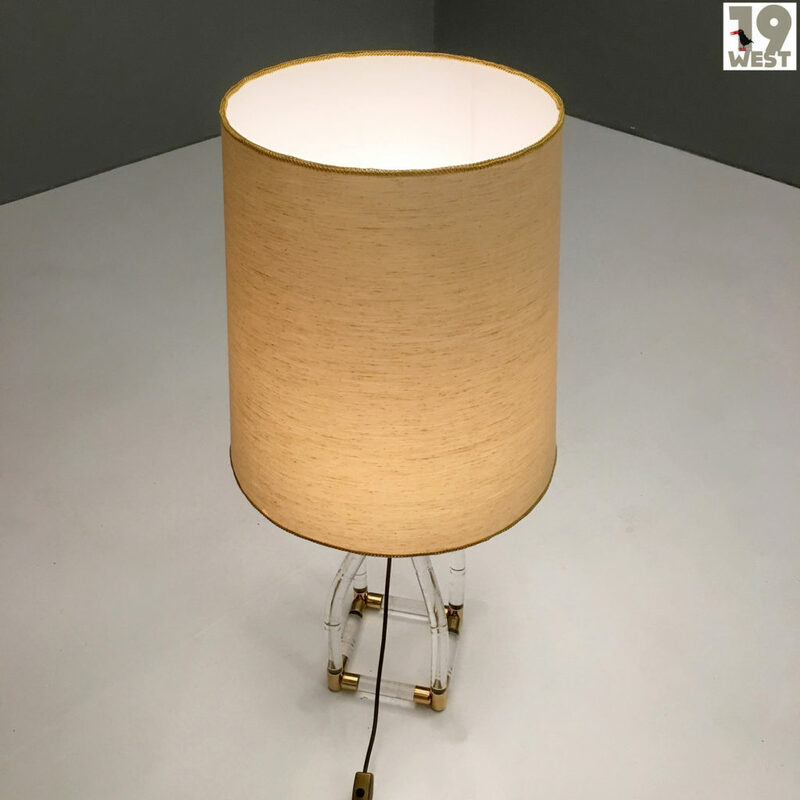 Floor or table lamp from the 1970s. 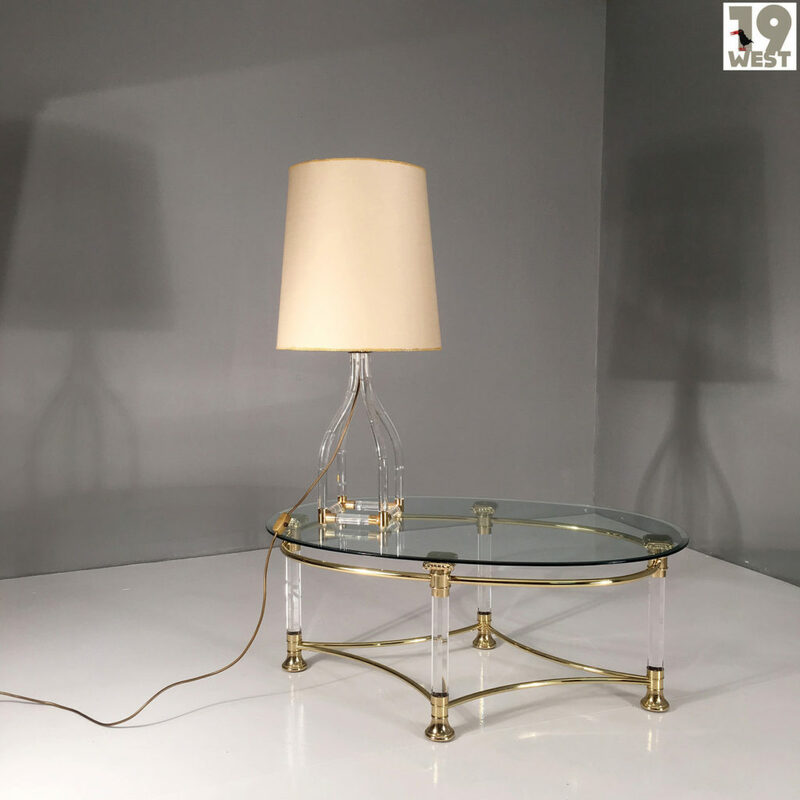 Beautiful model with an unusual base made of Plexiglass and brass. 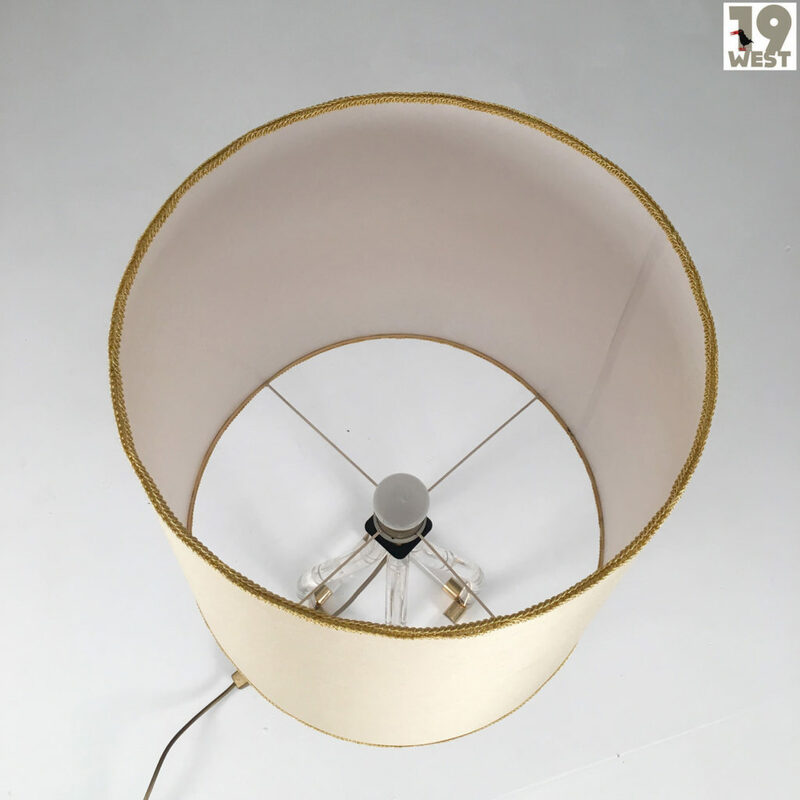 The shade is made of beige fabric with golden borders. 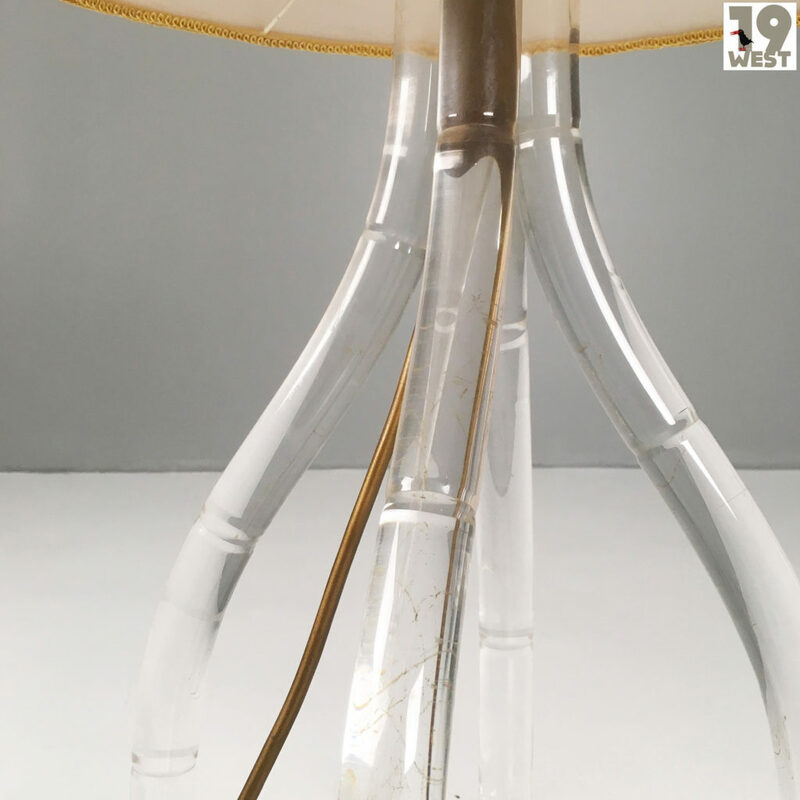 The lamp is in good condition with only slight signs of wear. 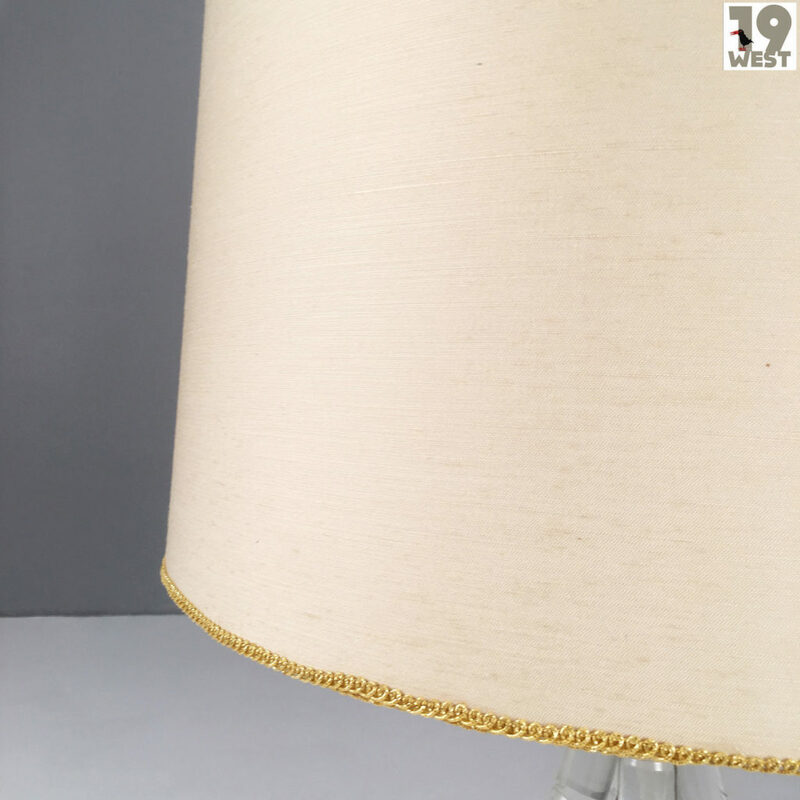 Minimum price for the offer must be greater than 336% of the Product.